So I was checking out what could be done with Biona Organic date syrup. But then I came across this intriguing recipe. It’s called Olive Oil Couscous Cake and when you get it nice and moist (using the best olive oil), it is, apparently, delicious. So for those of you who like a challenge, here’s the recipe. Good luck! 1. Preheat oven to 190°C. Brush a regular cake tin with olive oil. Line bottom of pan with greaseproof paper and brush parchment with olive oil. 2. Sift flour, baking powder, and salt into medium bowl; stir in couscous. 3. Blend olive oil and sherry in a bowl. 4. In a mixer mix egg yolks, eggs, and 1 cup sugar on high speed thick; stir in vanilla and orange peel. 5. Fold in the flour mixture and the olive oil mixture into the egg, alternating between the two. 6. Pour the batter into the pan. Tap the mixture to eliminate air bubbles. 7. Bake cake until dark brown for about 45 minutes. Test it is cooked with a knife. Leave to cool for 30 minutes. Then turn cake out onto a plate. 8. Serve in slices with créme fraîche, lots of drizzled date and a sprinkling of dates. They seem to think of things forgotten by others. Like their wafer Ice Cream Party Tubs, capable of holding lots of ice cream and not breaking the instant you touch them. Or their Crunchy Freenut Butter, or their Gluten Free Marshmallows. Quite the party people in fact. 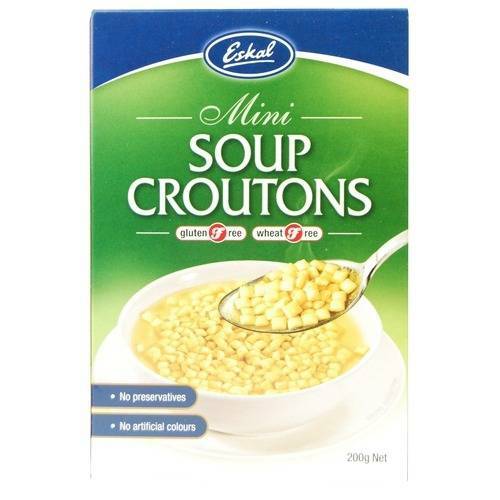 So, it’s good to hear they’ve gone a little more sophisticated and started making gluten free soup croutons for all those late night soirees. Eskal really should become the first point of destination for anyone planning a free from party – all their biscuits, chocolates and pretzels make it so easy. Exciting news! This year’s shortlist for the Free From Food Awards is out. 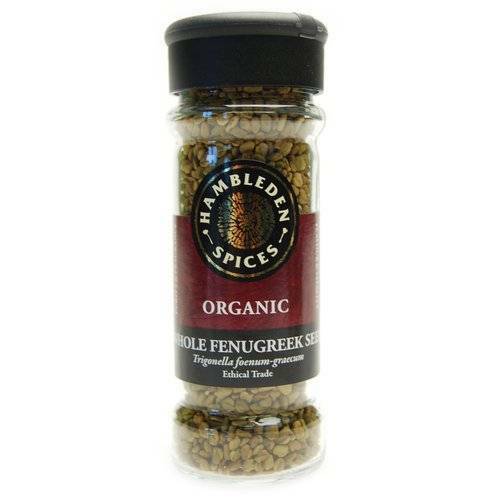 Below is a list of the very best in free from foods. Everything listed here will be gluten, wheat or dairy (cow’s milk) free – and many are free of all three plus eggs, nuts and other major allergens. But the fun doesn’t stop here. The final winners will be announced on 16th April. See the Free From Food Awards website for more info. If you did one of those ‘everything in my bag photos’, what would be in there? Would there be any snacks? There definitely would in mine. I’m the boyscout who never grew up, prepared for all sorts of eventualities that may never happen. So, I always like to have some little snack bars in my bag. 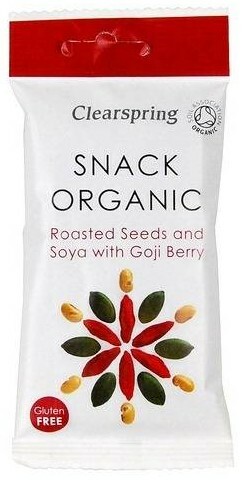 Clearspring’s Organic Roasted Seeds and Soya with Goji Berries are just the kind of thing I like to carry around. Nutritious, tasty and likely to keep me going for a few hours as I find my way out of the urban-jungle. Goji berries have more vitamin C than an equivalent weight orange and more iron than an equivalent steak so you know you’ve got something healthy in your pocket. Be prepared and make sure you have your Clearspring snack with you. As it’s Baden Powell’s birthday this week, I’m sure he’d approve.